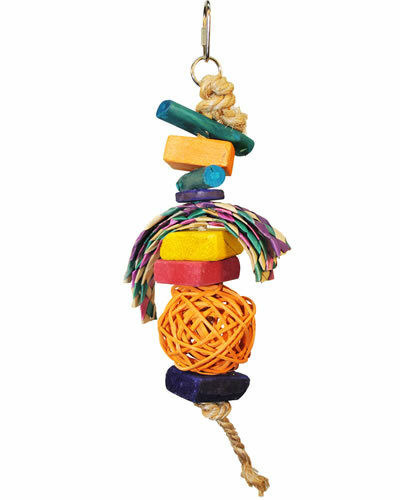 Hoola Bella parrot toy has colored chunks of java wood with brightly colored strips of woven vine and a rattan ball complete this toy. Hide some treats in the rattan ball for an extra challenge and some foraging fun! 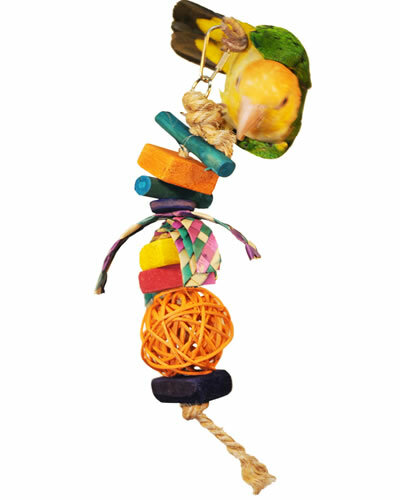 This toy won Best Bird Product at the 2010/2011 world renown SuperZoo trade show! Notify me when Sm Hoola Bella-AE Java Wood is in stock.